Ship Weight : 12 lbs. 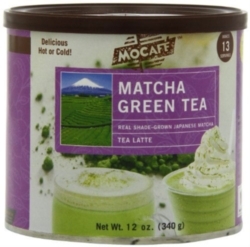 MoCafe Matcha Green Tea uses healthful green tea antioxidants coming from real shade-grown Japanese Matcha. Perfect for blended or shaken lattes. Comes as a case with twelve 12oz cans.